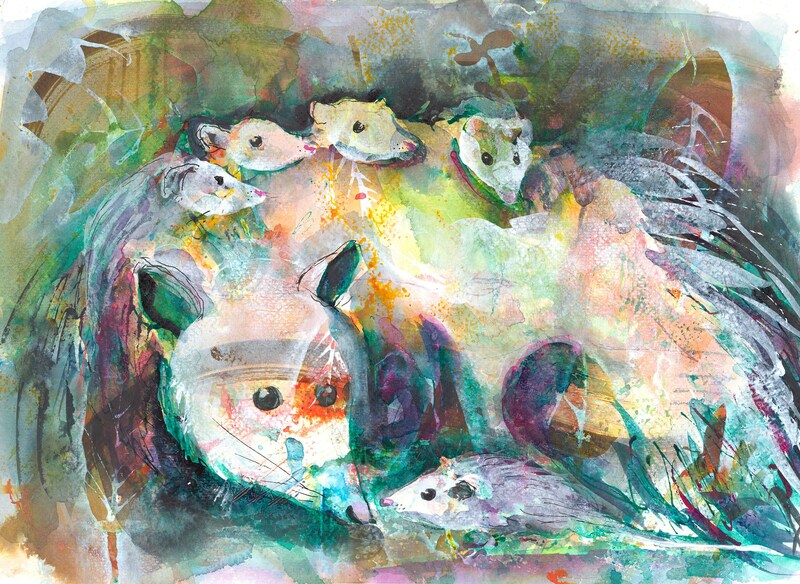 🐭 "Oh Possum Party" is a fine art print created from my original watercolor & ink painting. 💟Did you know opossums are the only North American marsupial (meaning, babies grow in a pouch like Kangaroos)? For a short time, I volunteered at a wildlife rehab center and we'd get many babies in who needed to be cared for in make-shift pouches. So cute! But my love of this animal grew in abundance when I learned how they help decrease the spread of Lyme's Disease (and other tick related illnesses). Opossums kill 96.5% of ticks that land on them and a single opossum may be "hoovering up and killing" 4,000 ticks per week and thereby protecting us from Lyme Disease! 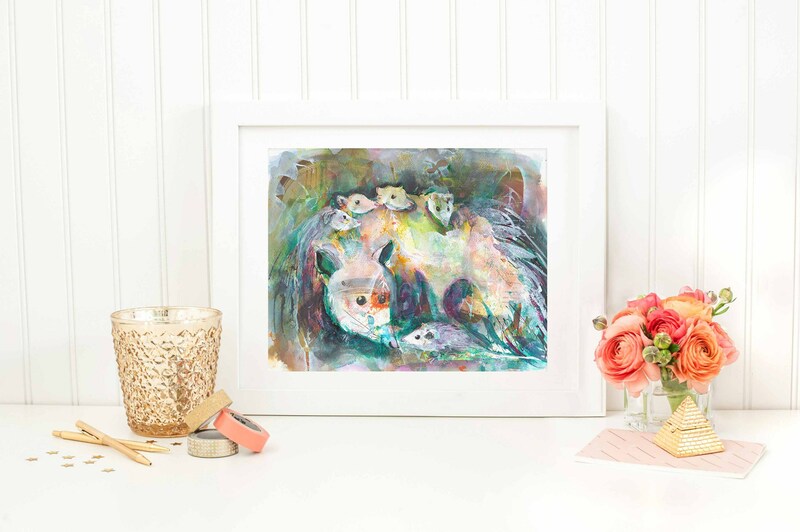 💟Regardless of your thoughts on this amazing possum super power, this sweet mama and her party of five adorable babies is ready to adorn your wall with cuteness and color!